NORTH TEXAS – As the second fastest-growing region in the country for small business growth, the region is seeing franchising lead that expansion. Franchise Expo South (FES), a franchise event serving the southwestern United States and Latin America, attributes Dallas-Fort Worth’s small business success to the booming Texas economy. With $1.6 trillion in yearly gross domestic product, no corporate or individual income tax and a relaxed business regulatory environment, the state’s major cities are a great place to do business, FES says. 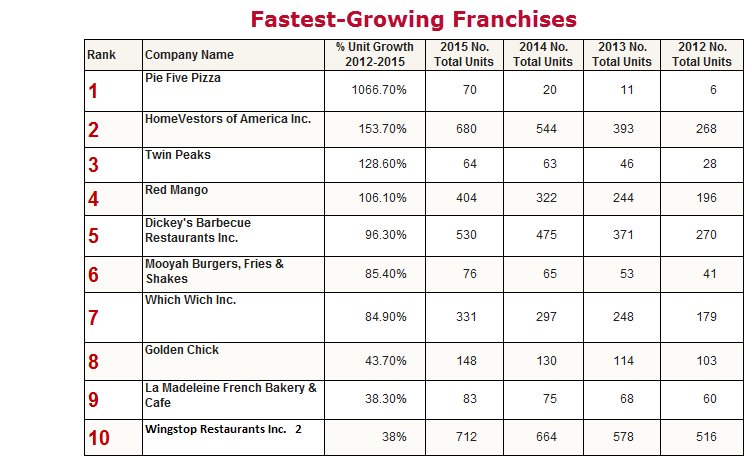 Dallas’ population growth makes it an especially good place for entrepreneurs to launch franchises. According to the U.S. Census, between July 2014 and July 2015, the region added 144,704 residents, creating more demand for a variety of services. ​Learn more with Dallas-Fort Worth Retail Market Research.